The Fall season is coming to an end and winter will jump right in on our lawns. The only thing that we can do is hope our lawn survives the Winter season and bounces back strong after it is said and done. Now is the time to start preparing your Spring lawn plans. Many of us have done all we could to get the perfect yard. Some of us were successful and others not. We are in the fall season and some of us have done our Fall season preparations to help our lawns root growth get strong and mighty over the winter. I had done a couple of posts on what could be done to prepare your lawn to deal with the winter months. Click Here & Click Here to see the two-part post that was for lawn recovery and preparing for the winter. But don’t worry if you did not get a chance to do all of the things mentioned in the posts you still can do something this spring and that is what you can start preparing for. When you start to prep your yard in the Spring you know you are going to need some things right? You are going to need tools, supplies and if you are going to really get real you might need an aeration machine and a soil test kit. 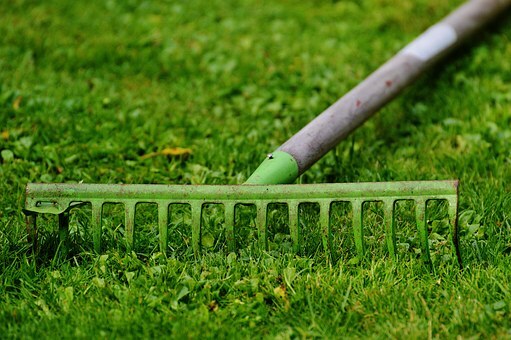 To make it short and sweet you first are going to need raking tools to clean up & dethatch your yard. You need bags for the debris. You might decide to test your soil so you will know how much nitrogen your soil needs. This calls for a soil tester. Then you might need to rent an aeration machine to loosen the soil really well. After that, you need your fertilizers and your seed & compost. Especially if you did not prepare your lawn for the winter. You also have to think about the necessary watering you are going to have to do to ensure that the seed you plant germinates so you get results. This calls for good sprinklers. Keep in mind, all this I am saying is when you want those outstanding looking lawns. With that being said you might as well start planning for it now. This way you don’t have to touch your budget at the last minute. 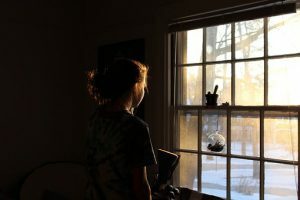 Usually, I try to put a video with my post but on this one, no video can tell you how to plan on making sure you have all you need when Spring does arrive. You can either gradually prepare yourself or wait until the last minute. And we all know what happens when we do that. It usually results in it not getting done. So if you want that beautiful yard that is not average you must either in the Fall or Spring give your yard what it needs to look its best. There is no video but you can click here to view a detailed spring guide if you like. I want to thank you all for visiting and I hope you enjoyed the post. 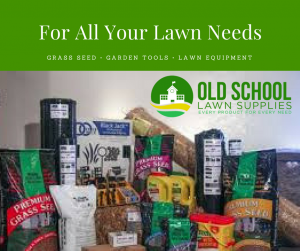 And for any lawn needs you may have you can visit Old School Lawn Supplies or your local stores to start getting ready. If you have any questions or comments please leave them in the comments section because they always help the next person out that visits. Hi, Thanks for your article. It is not a bad idea to start spring lawn plan. There are so many things involved: budget plan, different tools, clean up and soil tester etc. I put everything on the calendar. With your advice, I am confident that I am going to have a beautiful lawn in the coming spring. Yes, anytime you help your lawn it does achieve maximum beauty. Nature is there to keep it going and we are there to increase its chances of getting properly nourished. You can check what seed is common in your area and use a drought-resistant seed. They have seeds that are for shaded areas, drought resistant and so forth. Your local lawn supply store can help you which seed would be good for your area. Very interesting article! I was wondering when you take a soil sample to test for the Nitrogen levels, should you test several sites and add accordingly or will the lawn most likely test the same all over? My husband is the one that does the lawn but seeing that we live in Southern California with the draught we could not water so, most of it is dead. It would be wonderful to get it back to life. Thank you! You might want to test a few areas like the sunny and shaded areas. You can get your lawn back to life with a little work. If your soil is compacted aerate, fertilize and overseed. This will help you some. Click here to see if this helps any. True. Beautiful lawns start with planning months ahead of time. Good sprinklers are helpful. Do you sprinkle the lawn in the morning at noon or in the afternoon for the best results? The best time is early morning. You should have it done by 10 a.m. This will give the sun of the daytime to help evaporate it off the blades. A lot of people don’t know when you water in the evenings it gives your lawn a chance to stay moist all night which can cause some diseases to attack your lawn. So early morning I would say 6 a.m to 10 a.m.
Hi, I like the name of your website. Old School Lawn Service. Sweet. I have an average lawn, but I think it could be better. I’m going to read your other articles too because a persons lawn says a lot about the person. And I want to be seen as better than average. Thank you. There are some good articles in there to help you maintain your lawn. I have tabs in there that says lawn care tips that will lead you to where you want to go. I used to have a man to do my lawn but he gave up this year so now it’s down to me. I like the idea of having 4 months to get ready I will start getting the gear together for 4 months time. I thought I would write this post because some people have the tendency of waiting until the last minute. I thought if I spoke up it would help some people think about the purchases being less expensive during the winter months.